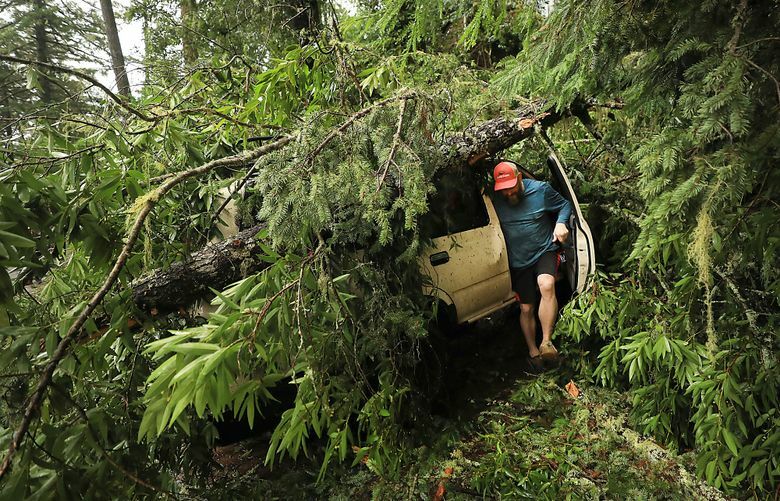 In harder hit Northern California, authorities warned of imminent floods and debris flows in the wildfire-ravished city of Paradise and the surrounding region denuded of protective trees and vegetation, telling residents to prepare to flee their homes on a moment's notice. Anderson said most of California should be dry and sunny by Friday. 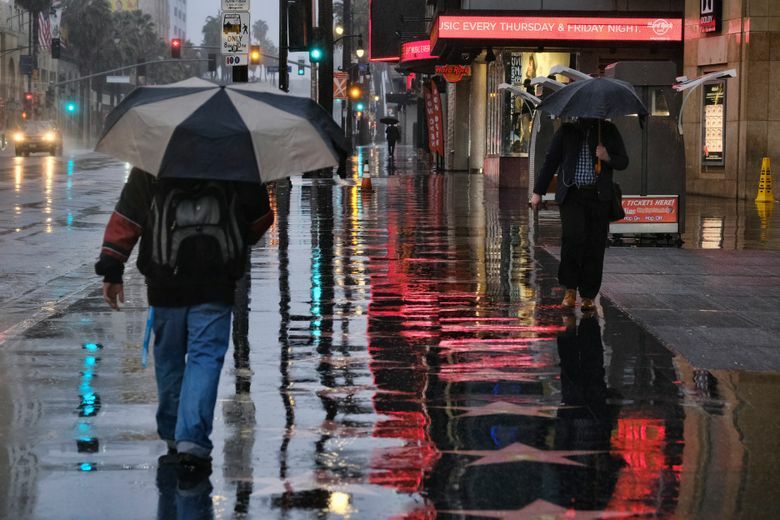 The three-day drenching put a dent in California’s drought, dumping as much as 10 inches (25 centimeters) of rain in parts of Southern California, and between 3 and 6 inches (7.6 and 15 centimeters) in Los Angeles. Government and university researchers who maintain the U.S. Drought Monitor map now classify most of the state as abnormally dry or in moderate drought. Only about 6 percent is in severe or extreme drought, compared to nearly a quarter of the state last September. 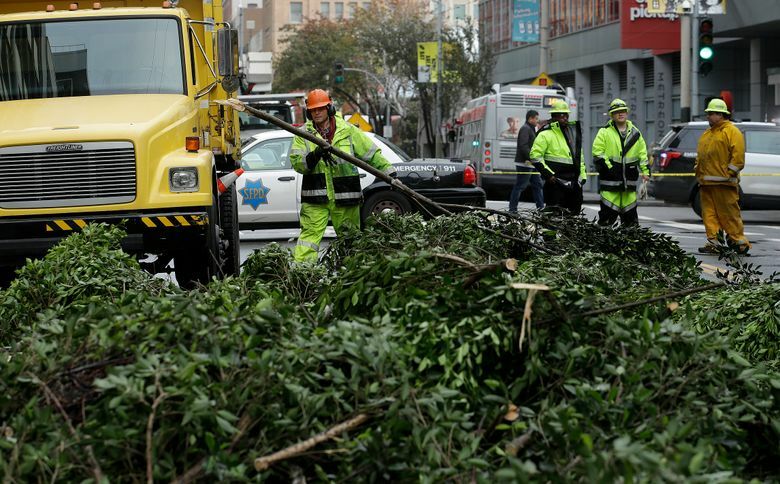 Rain and snow fell from one end of the state to the other, canceling flights, uprooting trees, knocking down power lines and causing localized flooding. In Malibu, a boulder hit a 57-year-old woman while she was hiking Thursday. She was in critical condition Thursday night. 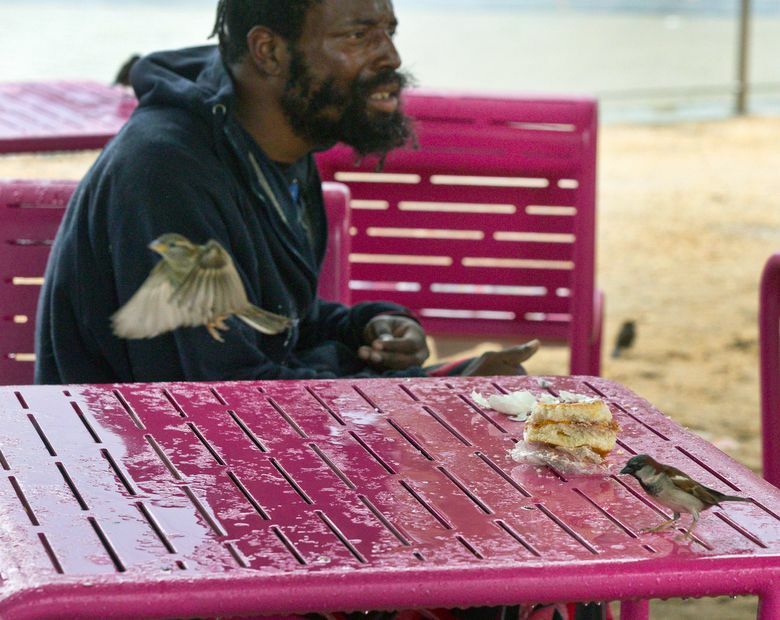 In Riverside County, firefighters rescued 12 homeless people stranded on an island in the Santa Ana River bottom, while 25 other transients were evacuated from the river banks. Farther upstream in San Bernardino, firefighters rescued one person trapped on an island while a second was able to swim to shore. The Los Angeles County Sheriff’s Department posted a dramatic video on Twitter showing the helicopter rescue of a person caught in the rising San Gabriel River. 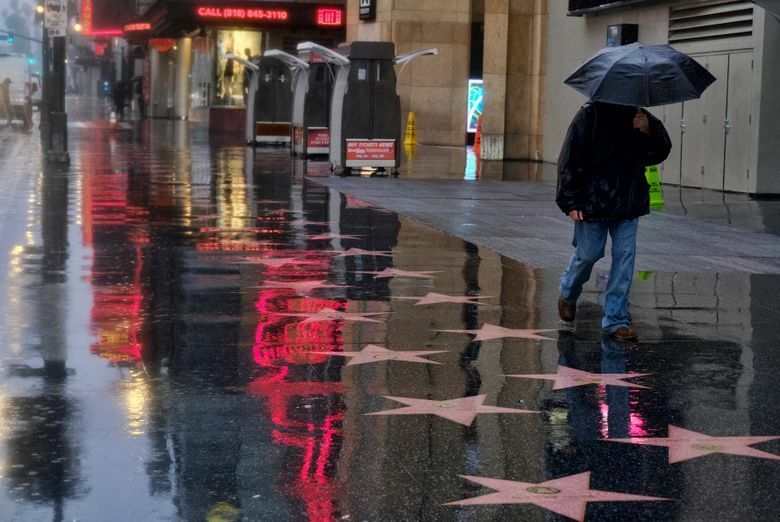 Also in Los Angeles, about 20 residents were evacuated from their homes in the Hollywood Hills when mud slid from beneath a house. No one was hurt and the residents were allowed to return home several hours later. In Ventura County northwest of Los Angeles, 4,500 gallons (17,000 liters) of sewage flowed into the Ventura River when an RV park became flooded. Health officials urged people in the area to avoid touching any storm runoff or ocean water for several days. 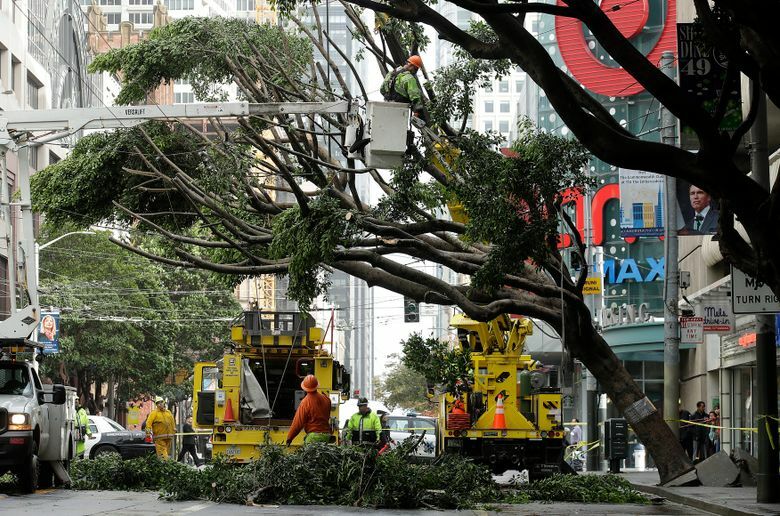 In San Francisco, fallen trees blocked the city’s iconic cable car tracks for hours Thursday and similarly delayed other commuter trains in region. 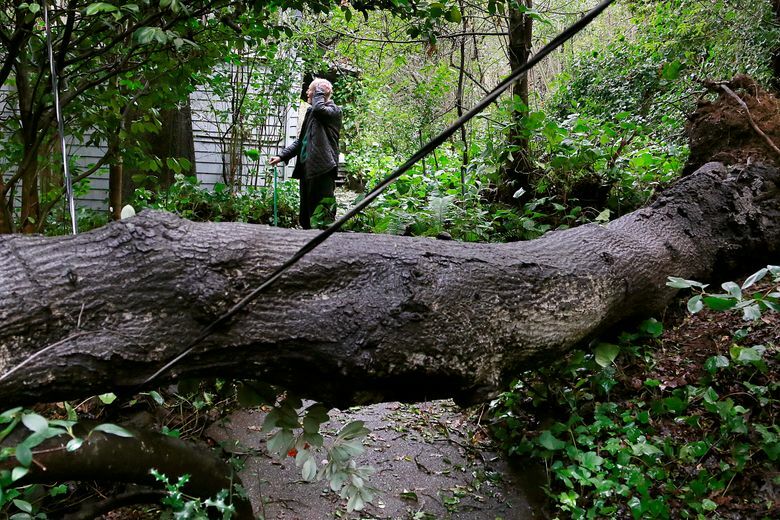 A 200-year-old oak tree towering 100 feet (30 meters) over James Holmes’ suburban San Francisco home toppled over in the wind Wednesday night. “My family lived under it in our house for 70 years,” he said. 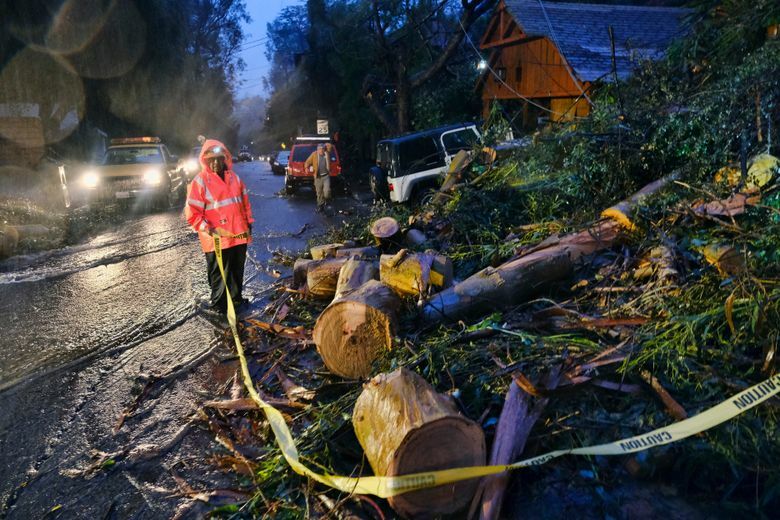 In the Marin County community of Mill Valley, just north of San Francisco, a man was killed when he jumped into the street to dodge a falling tree Wednesday night and was struck by a van, according to the California Highway Patrol. 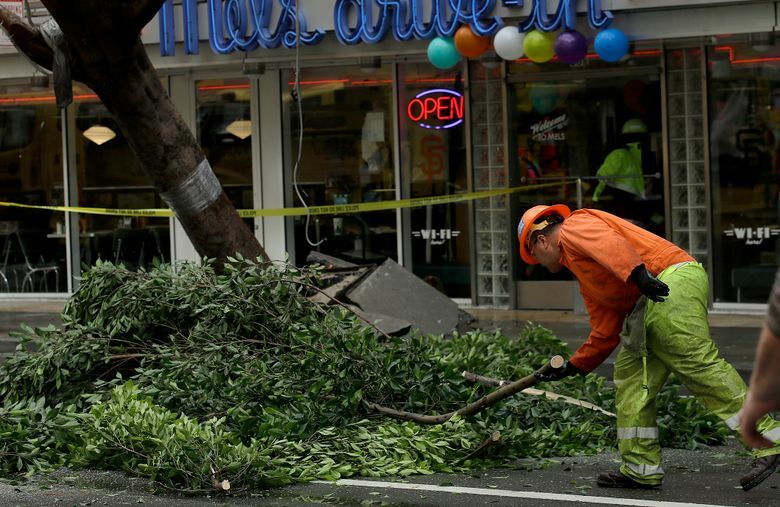 Earlier Wednesday, a branch from a falling tree killed a 42-year-old homeless man in Oakland. 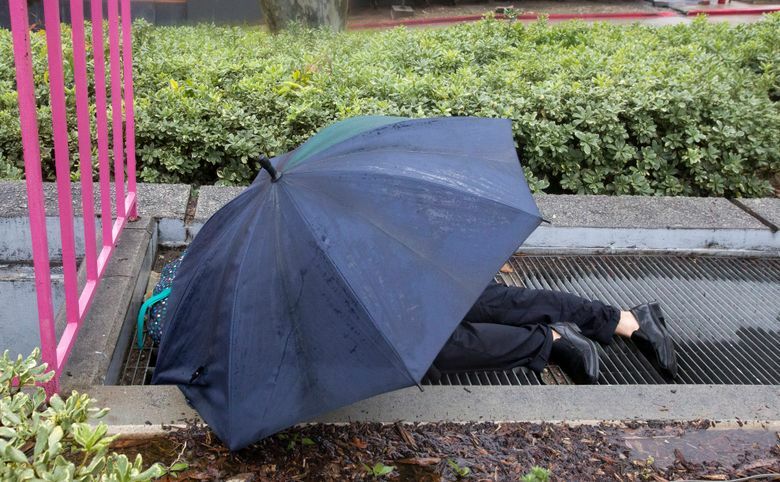 The man may have been “just trying to stay dry” under the tree, CHP officer Herman Baza said. 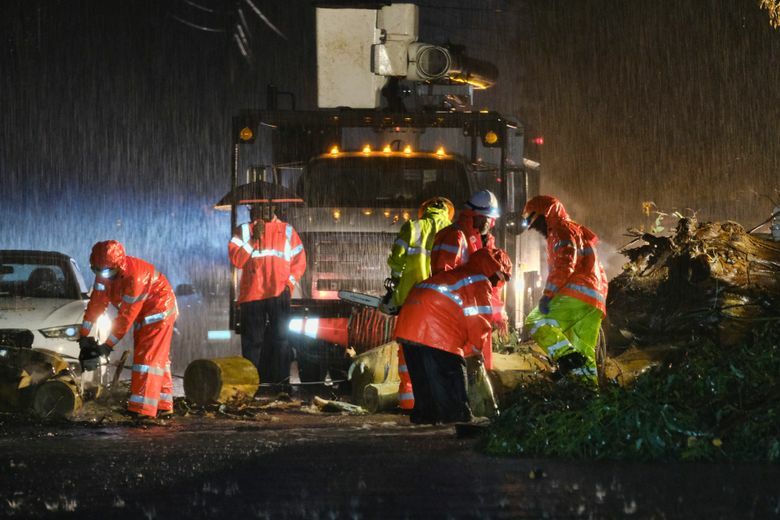 CHP reported that four people were killed in separate Northern California crashes caused by rain-slickened roads this week, including a 1-year-old who was among three people in a vehicle who died Tuesday from a crash in the Sierra Nevada foothill town of Placerville. 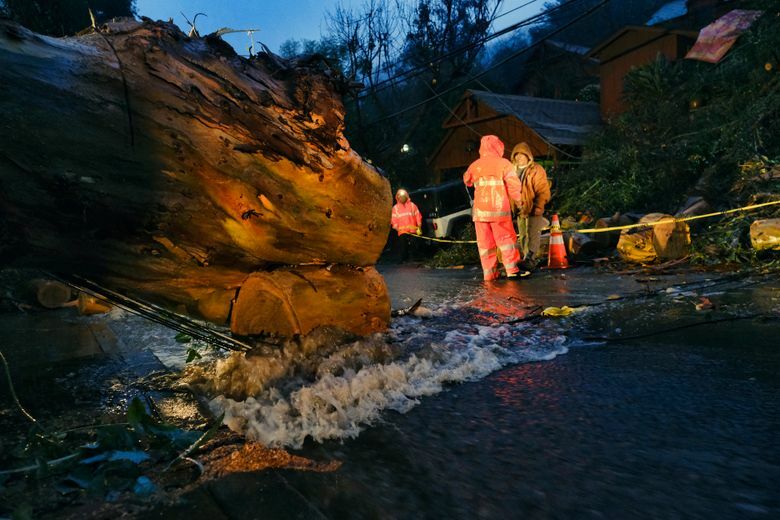 Southern California authorities concerned with rising streams and excessive runoff ordered evacuations in parts of Malibu and other areas scarred by wildfires. Malibu schools canceled classes. Santa Anita racetrack canceled its slate of horse races Thursday. 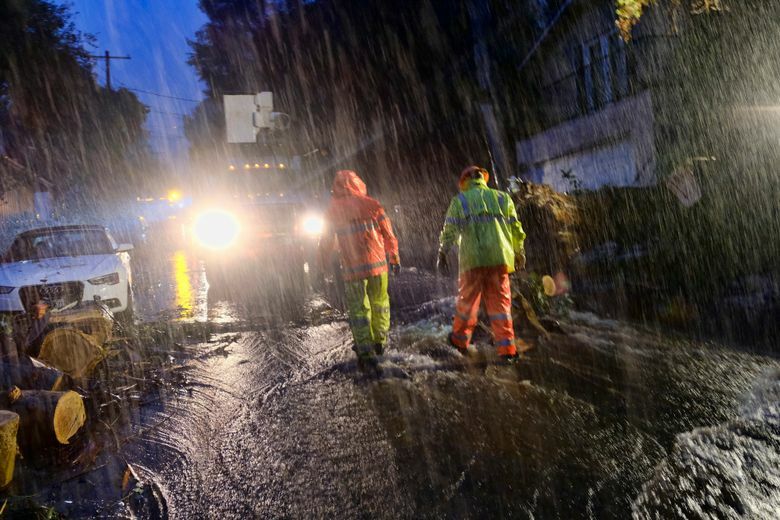 In the Southern California hillside community of Oak Park, where residents used pumps and sandbags to hold off rushing storm water, longtime resident Diane Starzak said her neighborhood “kind of dodged the bullet” as the storms began to taper off. “We actually had our suitcases in the car and were ready to leave,” said Starzak, who is volunteer coordinator for Oak Park’s community’s emergency response team. Instead the family used pumps to divert water cascading down a hillside behind their home. “We are really, really happy, really excited,” she said. Meanwhile, blizzard conditions blanketed the higher elevations of the Sierra Nevada and the region’s ski resorts with as much as 4 feet (1.2 meters) of snow just in time for the three-day Martin Luther King Jr. holiday weekend. 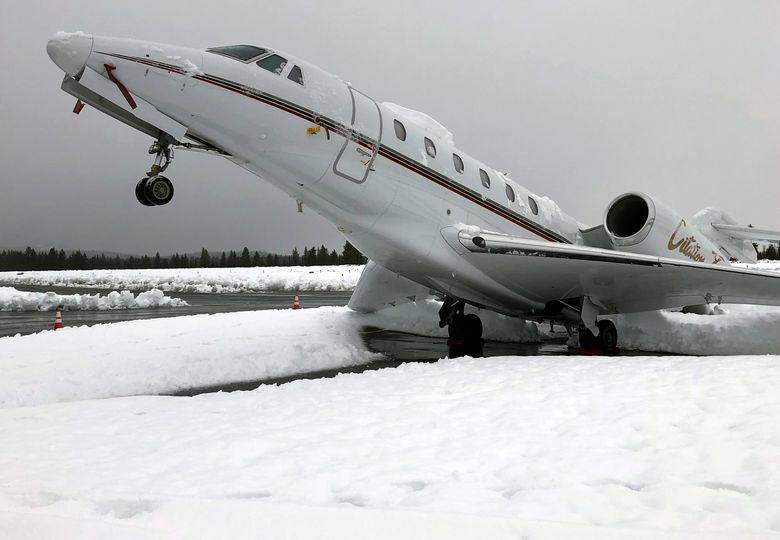 So much snow accumulated on the tail of an executive jet parked at the Tahoe Truckee Airport that it caused the plane’s nose to tilt skyward in a stationary wheelie. 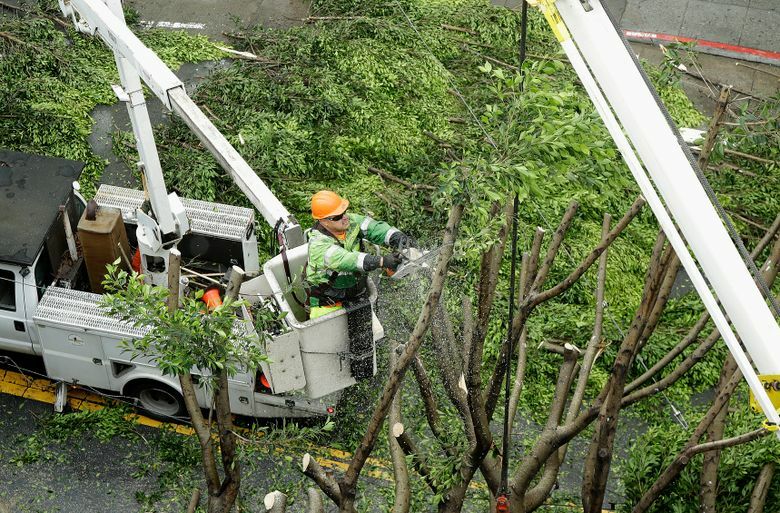 Pacific Gas & Electric said 280,000 customers lost power at some point since Wednesday. PG&E spokeswoman Mayra Tostado said 26,432 customers remained without power Thursday afternoon. Antczak reported from Los Angeles. 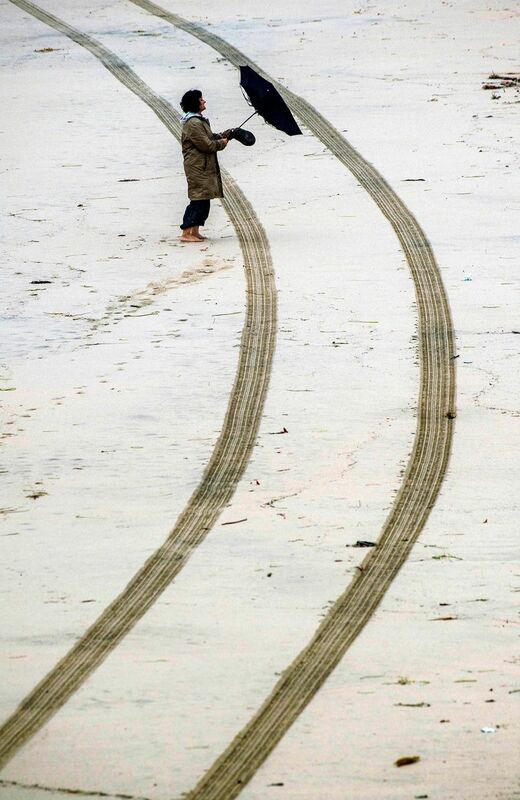 Associated Press writers Janie Har in San Francisco and John Rogers in Los Angeles contributed to this report.